Another three weeks of development come to an end… and our usual report starts. Take a look to what we have been cooking. This week, during SUSECon 2016, SUSE announced an exciting upcoming new product. 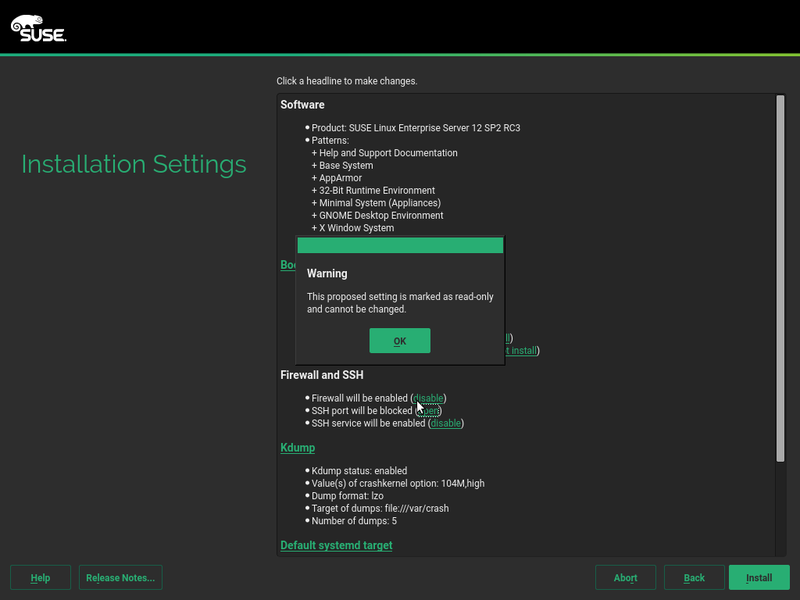 SUSE CASP – a Kubernetes based Container As a Service Platform. That has, of course, some implications for the installer, like the need of some products (like CASP) to specify a fixed configuration for some subsystems. For example, an established selection of packages. The user should not be allowed to change those fixed configurations during installation. We have implemented a possibility to mark some modules in the installation proposal as read-only. These read-only modules then cannot be started from the installer and therefore their configuration is kept at the default initial state. In this sprint we have implemented a basic support in the proposal framework, in the future we could improve the respective proposal modules to better handle the read-only mode. The ability to have read-only proposals is not the only improvement we have introduced in YaST to make SUSE CASP possible. When Btrfs is used during the installation, YaST2 proposes a list of subvolumes to create. Unfortunatelly, that list is hard-coded and it’s the same for every (open)SUSE product… until now. Starting on yast2-storage 3.1.103.1, a list of subvolumes can be defined in the product’s control file along with additional options (check out SLES and openSUSE examples to learn more). Disabling copy-on-write for a given subvolume (it’s enabled by default). Enabling the creation of a subvolume only for a set of architectures. AutoYaST Btrfs subvolumes handling has been also improved. Using almost the same syntax as for product control files, you can disable the CoW behavior for a given subvolume. On the other hand, if you’re running SLES, you’ll know that a subvolume called @ is used as the default Btrfs subvolume. Now is possible to turn-off such behavior in the profile’s general section. We have talked many times in this blog about the new self-update functionality for the installer. As expected, this functionality will debut in SLE-12-SP2 but with a small change in the original plan. 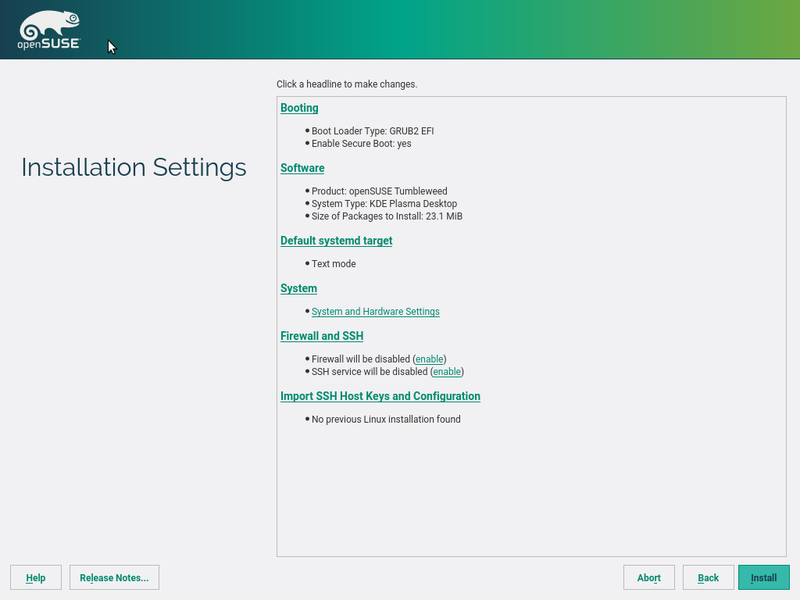 In order to ensure maximum consistency in the behavior of SLE-12-SP1 and SP2 installers, the self-update functionality will be disabled by default. Not a big deal, since enabling it to get the latest fixes will be just a matter of adding a boot option in the initial installation screen. The previous report about the status of the storage stack reimplementation finished with the following cliffhanger “we have in place all the ingredients to cook an installable ISO“. So, as expected, we worked during this sprint in adapting the bootloader proposal to the new storage layer. As you can see in the following screenshot, we succeeded and the installer can already propose a valid grub2 setup to boot an EFI system. Does that mean that the testing ISO for the new storage stack is already fully installable? Unfortunately not. Why not, you ask? The reason is, in fact, kind of fun. The current partitioning proposal only works with MS-DOS style partition tables because we wanted to address the most complicated case first. On the other hand, we intentionally restricted the adaptation of the bootloader proposal to the EFI scenario. And you know what? We found out that combination (MS-DOS partition table + EFI) does not currently work in Tumbleweed, so it neither does in our Tumbleweed-based testing ISO. As you know, YaST has both a graphical and a textual interface. They run on the same code thanks to an abstraction layer called LibYUI. Originally it served YaST only, but over time other projects started using it, notably the admin panel in Mageia. Moreover, the developers of those projects started to contribute fixes and improvements to LibYUI… faster than we can cope with. Recently we decided to give the people outside the YaST team more power in the LibYUI project. To make that possible ensuring it does not affect YaST stability, we have been enabling more continuous integration tests. As a first fruit of the revamped collaboration, we have merged a fix contributed by Angelo Naselli of Mageia regarding selection of tree items. As soon as we complete our continuous integration setup (of course we will keep you informed), more fixes and improvements will come for sure. In the previous report we presented our new effort to integrate the fix of low-priority bugs into the Scrum process. During this sprint we refined the idea a little bit more, distinguishing two separate concepts (each of them with its own PBI) – fixing of existing bugs and closing of too old ones. The first one doesn’t need much explanation. We managed to fix around 25 non-critical bugs in YaST and if you are using Tumbleweed you are probably already benefiting from the result. The second task was not exactly about fixing bugs present in the software, but about cleaning bugzilla from bug reports that were simply too old to be relevant any more. Like bugs affecting very old versions of openSUSE that cannot be reproduced in openSUSE 13.2 or Leap. We must be realistic about releases that are already out of support and the limited human resources we have. 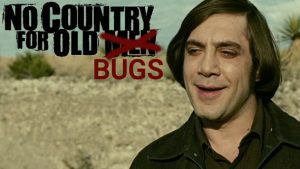 We closed around 80 of those ancient bugs. 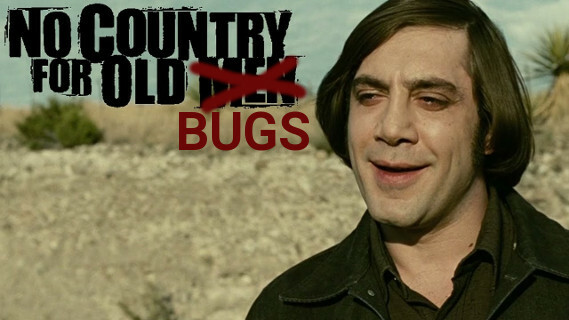 So overall, we cleaned up around one hundred bugs from our queue. Still a long way to have a bug-free YaST, but undoubtedly a step in the right direction. We are already working in the next sprint that will hopefully bring several new improvements for CASP, quite relevant progress in the storage reimplementation, several usability improvements, some bugfixes and even some news about this blog. To make sure you don’t get bored while waiting we are also planning to finally publish the report about our visit to Euruko 2016.
it’s great to see how YaST it’s being improving a lot!! I will ask a feature in installer: I would like that during installation thw installer ask to user about name host. First of all thnx for your nice blog! ;). Regarding to the hostname comment, you can set it by linuxrc just passing it as an installation option, Hostname=victorchk.opensuse.org. Currently we are working in some enhancements in the lan client, and as Ladislav commented if you have suggestions for example for the installation steps, Fate is the best way to request them. Any news on yast live installer? Is there any substitute in Opensuse? To the live installer: Currently the Tumbleweed Live media (http://download.opensuse.org/tumbleweed/iso/) run full installation from network. So it actually behaves like a big NET installation medium. AFAIK there are no plans to change that.